The Endive plant, scientific name Cichorium endivia, is a leafy vegetable that belongs to the daisy family. The term endive is also a common name for Cichorium intybus and some types of chicory and there is actually a considerable confusion between Cichorium intybus and Cichorium endivia. It is rich in vitamins and minerals especially vitamins A and K, as well as in folate and fiber. Plants typically reach 6 to 24 inches (15 – 60 cm) in height, with a similar spread. Endive is a cool-season biennial plant that is typically cultivated as an annual by gardeners. It is normally blanched as this gives it both a milder flavor and a paler more attractive appearance. This plant is closely related to Chicory, though it is loose leafed and has a little bunching of leaves in the center of the plant. There are two main types of common endive: the smoother-leafed (flat leaved: escarole), and the frilly curled with pointy leaves, which has a buttery and slightly bitter taste and is often used as an ornamental plant. Choose a location that has full access to the sun (or partial shade in hotter areas). The soil should be moist, well-drained and well-worked. Two to three weeks before planting, add aged compost to planting beds and side dress with compost at midseason. The soil should have a not-too-acidic pH that is only around 5.0 to 6.8. 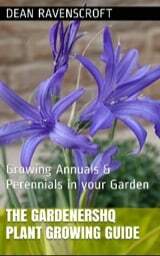 Sow seeds in the garden four to six weeks prior to the average last frost date in spring and make successive plantings. Seeds that are grown indoors can be started six to nine weeks before the last frost date (transplant outdoors two weeks before the last expected frost date in your area. Endives are more tolerant to heat than lettuce, but they need to come to harvest before the temperature reaches 85°F (29.5°C) or higher. 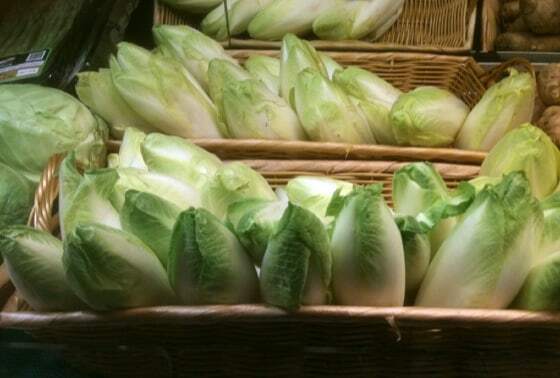 A light autumn seasonal frost will enhance the flavor of endives. Sow the endive seeds (up to 5 years old) at 1 to 2 inches (2.5 – 5 cm) apart and ¼ inch (1.2 cm) deep. Germination typically takes 5 to 7 days. Successful seedlings should be thinned to six to 12 inches (15 – 30 cm) apart with rows spaced 18 to 24 inches (45 – 60 cm) apart. Thinning is vital as crowded plants will bolt and go to seed. By pulling the outer leaves together and holding them in place with the use of a rubber band or tied string; make sure that prior to the pulling of the leaves together, they are dry enough (or they will rot). Place a flowerpot over each plant. 3. Lay a board on supports over the center of the plants and rows. 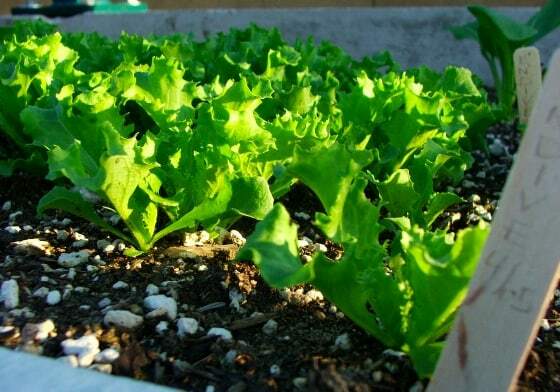 For the best Endive care conditions it is important to grow in cool temperatures and short days, just like when growing lettuce plants and other cool-season greens. To prevent plants from bolting or going to seed it is important to keep them well-shaded and watered, especially when temperatures exceed 75°F (24°C). Mulching can help suppress weeds and retain soil moisture. Slugs, snails, cutworms, and aphids often attack the plant. Placing a collar around every plant can prevent Pest attack. Trap snails and slugs with the use of a saucer of stale beer set flush to the soil. Hose off aphids with water or simply pinch out the infested foliage. There are no major diseases or serious problems that are known to endives. After a month of growth, pulling up the entire young plants or trimming the leaves can be conducted. This is normally done by those who prefer eating fresh and young endive plants. Others prefer harvesting plants that reach full size and have mature heads. Cover up the plants with a pile of straw two weeks prior to its harvest time. This will slightly blanch the plant and keep the sun off the leaves. Avoid harvesting endives that are fully mature as the hot summer weather can cause the plant to bolt and make the leaves too bitter to be eaten.